Ben is a young eco-warrior at the end of a losing battle. Together with his fellow student activists, he’s traveled to London on Earth Day to take one last stand. To make a final plea for an environmental solution to save the planet. Time is up on combating climate change. Humanity’s choice is about to be made. And most are choosing to leave the fate of the world to a mysterious geoengineering experiment. A global vote on the Geolution is looming. Any who resist are branded extreme greens and terrorists. And as Ben marches in heat wave conditions, he wonders if radical action may be the only way to make his voice heard. 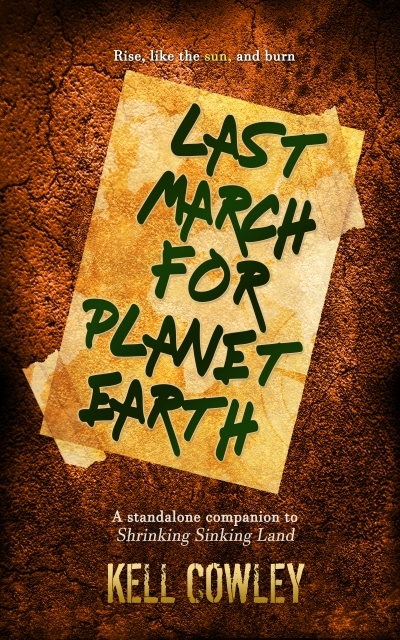 'Last March for Planet Earth' is a prequel and companion story to the novel 'Shrinking Sinking Land', a cli-fi survival story for ages fourteen and up.